My other boy is in an IKEA Detolf converted cabinet cage. 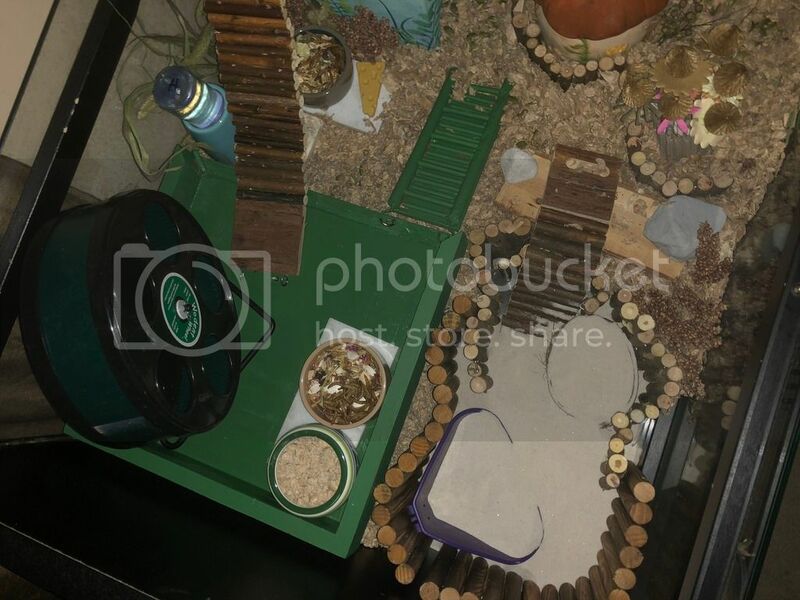 Best chance for your hamster to learn to wee in an toilet tray, is getting an toilet tray, adding sand. Also dwarf hamsters love to roll in sand, to bathe. 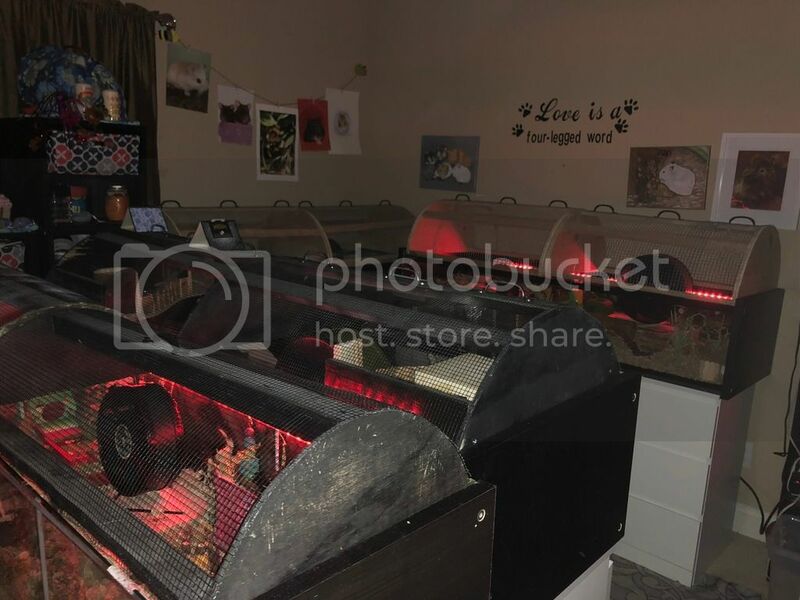 I’ll take photos of Ace’s cage. He’s in a good size cage. Last edited by Teddy001; 09-08-2018 at 08:03 PM. Some Russian hams will pee in the wheel but a healthy hybrid pees so little it shouldn't really be a problem, my Chinese all pee in the wheel but I find that cleaning once .a week is adequate, if you clean too often they just tend to do it more. I've found that most of my hybrids will be pee in a small tray with chinchilla sand if it's in the house (if the house is big enough) or close to the nest. I was worried at first that he peed so little. But he seems to eat, drink, and play so well that I soon figured out that he was ok. I will get him some sand and a tray.